The DoD is reporting a new reclassified death previously unreported by the military. Staff Sgt. Faoa L. Apineru died at Palo Alto Veterans Hospital on Wednesday, July 2nd from a roadside bombing on Thursday, May 15th in Al Anbar Province. #1: Wednesday Police found two dead bodies throughout Baghdad, one in Habibiyah and one in Dora. #2: A roadside bomb targeted civilians in Karrada injuring two civilians. #3: A roadside bomb targeted an Iraqi Army patrol near the general hospital in Madain to the southeast of Baghdad city injuring two soldiers. #4: Three unidentified bodies were found in Baghdad by Iraqi Police today; one in Palestine Street, one in Bayaa and one in Bab al-Muatham. #1: Also Thursday, the U.S. military said American soldiers wounded a civilian woman after opening fire on a group of four suspected militants during an operation in Samarra, north of Baghdad. The military said another woman was also killed in the confrontation but her status had not been determined. #2: Three U.S.-backed neighbourhood patrol guards were killed and two were wounded on Wednesday when a roadside bomb exploded near their checkpoint in the city of Samarra, 100 km (60 miles) north of Baghdad, police said. #1: A suicide car bomber rammed an explosives-laden vehicle against the wall of a police station south of Mosul on Thursday, killing three policemen and wounding four others, authorities said. The Thursday attack occurred on a police station in the Qayara area about 30 miles south of Mosul, according to a police officer who spoke on condition of anonymity because he was not authorized to speak to the media. #2: On Thursday, a judge died of wounds suffered in an attack the day before in Mosul, police said. One of the judge's bodyguards was killed in the attack, police said. #3: Gunmen killed Yousuf Ahmed, a member of the Iraqi Islamic Party, in Mosul on Wednesday, police said. The party is one of three groups in the main Sunni Arab bloc in the national parliament. #4: Gunmen killed an off-duty soldier on Wednesday in Mosul, police said. #5: Five mortar shells on Thursday hit the building of al-Iraqia and al-Mosuliya satellite channels in eastern Mosul, a police source said. "Five mortar shells landed on the building of al-Iraqia and al-Mosuliya satellite channels in al-Karama neighborhood in eastern Mosul without causing any casualties," the source told Aswat al-Iraq - Voices of Iraq. #6: Meanwhile, an Iraqi army source said that "Iraqi soldiers managed to defuse a car bomb found near all-Sham gate in western Mosul, without casualties." #7: Police forces on Thursday found the bodies of three women in the northern volatile city of Mosul, a Ninewa security source said. #8: Nine people were wounded on Thursday afternoon when two car bombs exploded in a synchronized way in the northern volatile province of Ninewa, a police source said. "Two car bombs on Today's afternoon blew up in a synchronized way at Kokjli area, eastern Mosul, wounding nine people, including three Iraqi soldiers," a Mosul police source, who requested anonymity, told Aswat al-Iraq - Voices of Iraq. #1: A roadside bomb killed a policeman on Wednesday in the town of Tal Afar, 420 km (260 miles) northwest of Baghdad, police said. #1: An explosion outside a Pakistani consulate in western Afghanistan on Thursday wounded at least one person, officials said. Explosives placed on a bicycle detonated outside the gates of the consulate in the city of Herat, said Naeem Khan, spokesman for the Pakistani Embassy in the Afghan capital, Kabul. He said a policeman was wounded but according to Mir Ahmad, a police official in Herat, two people were hurt - a police guard and a woman. #2: A mortar shell hit a house in a valley where Pakistani security forces are battling Islamic militants, killing a family of seven. The shell hit overnight in the village of Deolai, said Shakoor Khan, a police official in the nearby town of Kabbal. A man called Mohammed Tahir died along with his wife and five children, Khan told The Associated Press by telephone. #3: Taliban rebels fighting the Afghan government Wednesday night attacked several tribal elders' houses in the Arghandab district of southern Afghanistan's Kandahar province, an official said on Thursday. Marai Khan, the district police chief told Xinhua that several groups of Taliban militants attacked the houses belonging to district tribal elders at the same time late Wednesday evenging, killing elder Haji Bacha and two sons of his. "Seven more elders were captured by insurgents from their houses," he said, "operation has been started for searching and rescuing the hostages." A royal Marine died on a gruelling training exercise as he tried to fulfil his dream of becoming a crack SBS commando, it was revealed yesterday. Signaller Benjamin Poole, 26, collapsed from heat exhaustion during a 18-mile yomp on one of the hottest days of the year. A pilot from Nellis Air Force Base was killed after an Air Force F-15D Eagle crashed on the Nevada Test and Training Range approximately 50 miles east of Goldfield, Nev., at approximately 11:30 a.m. July 30. The F-15D, a two-seater, assigned to the 65th Aggressor Squadron at Nellis Air Force Base, was participating in a combat training mission as part of Exercise Red Flag 08-03. Sergeant Jeff Guerin, who lost his sight and shattered his legs when his security patrol was ambushed and his vehicle was destroyed by an IED four years ago. The British MoD is reporting the death of an ISAF soldier from an explosion during an engagement in Nahri Sarrj, Helmand province, Afghanistan on Tuesday, July 29th. Here's the ISAF statement. The Great Falls Tribune is reporting that the family of Sgt. Jimmy McHale has decided to remove Sgt. McHale from life support today after he was critically wounded in a roadside bombing in Baghdad on Tuesday, July 22nd and has been in a coma at the Walter Reed Medical Center. #1: In violence Wednesday, a roadside bomb targeted an Iraqi army patrol in eastern Baghdad, killing at least one Iraqi soldier and wounding seven other people, police said. An Iraqi soldier was killed and 10 more were wounded in a roadside bomb blast in eastern Baghdad, a police source said on Wednesday. #1: Nearly 50,000 Iraqi police and soldiers were involved in a U.S.-backed operation against al-Qaida in Iraq in one of its last major strongholds near the capital, a senior provincial official said Wednesday. The house-to-house search operations now focused on the Diyala provincial capital of Baquoba will be extended to rugged areas near the Iranian border, said Ibrahim Bajilan, the head of the regional council. The crackdown will take about two weeks ``and then law will be imposed in all Diyala,'' Bajilan said by telephone, providing new details about the operation that began Tuesday. The U.S. military was providing intelligence, fire support and logistics as Iraqi forces gradually assumed front-line roles, a factor that contributed to sharp decrease in the number of U.S. troop deaths this year. #1: A judge and one of his bodyguards were injured on Wednesday by unknown gunmen in northern Mosul, a security source said. "Unidentified gunmen opened fire at the car of Judge Mohamed Khalaf al-Sabiel while leaving his house in al-Sedeeq neighborhood in northern Mosul heading for his work at al-Badaa court in central Mosul, injuring him and one of his bodyguards," the source told Aswat al-Iraq - Voices of Iraq on condition of anonymity. #2: Meanwhile, a security source said that unknown gunmen shot and killed a policeman in al-Shefaa neighborhood in western Mosul. #1: Taliban insurgents killed three policemen and seized their vehicle in an ambush in Logar, south of Kabul, a provincial official said. The Taliban claimed responsibility for the incident. #2: A number of Taliban fighters were killed in two separate overnight clashes with Afghan forces in Ghazni, southwest of Kabul, a provincial official said. U.S.-led troops also used air strikes in the engagements, but details on casualties were not immediately available, the interior ministry in Kabul said. #3: A small bomb went off in a residential area in the western outskirts of Kabul on Wednesday, but caused no casualties or damage, the ministry said, adding the target was not clear. #4: Troops and militants battled Wednesday in a restive northwest Pakistan valley, reportedly killing dozens and undermining the new government's disputed strategy of offering peace deals to pro-Taliban insurgents. The army announced an indefinite, round-the-clock curfew throughout the Swat Valley, a day after militants there abducted at least 25 police and paramilitary troops. Clashes Tuesday also left two troops and two militants dead. In one incident, security forces clashed with militants in Sar Banda, about 12 miles from Mingora, the valley's main town, said an army spokesman on customary condition of anonymity. The army insists that media identify only its chief spokesman by name. The spokesman said Taliban fighters launched a failed attack on a security post. He said troops repulsed the assailants, who left behind the bodies of at least 20 dead comrades. He said the overall militant toll was 25. Muslim Khan, speaking to The Associated Press by phone, said only five Taliban had been killed and claimed that the rebels had killed more than 30 members of the security forces. #5: Militants shot and killed an Afghan woman accused of being a U.S spy in Pakistan's North Waziristan region, and dumped her body in a sewer, a witness and intelligence officials said on Wednesday. Marine Sgt. Darren Dugan, was leading a patrol July 10 in Anbar province when he and his men triggered an explosive device that caused shrapnel wounds in his left leg and right foot. Darren Dugan, 24, had surgery in Germany to remove the metal before his parents met him at a naval hospital in San Diego on July 16. He's still finishing outpatient rehabilitation there before coming home to Arizona. 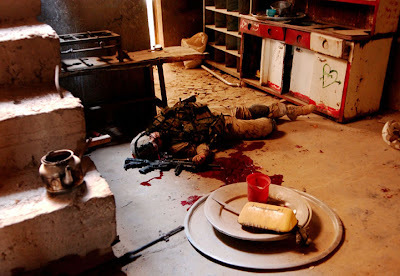 Photo: November 2004, Stefan Zaklin photographed this soldier, who was shot and killed in Falluja, in a house used as a base by insurgents. The photograph ran in several European publications, and Mr. Zaklin was immediately banned from working with the unit. I'm likely breaking my own rules by posting this photograph but the article I posted below in the N.Y. Times by MICHAEL KAMBER and TIM ARANGO once again brings up the issue of why is the military banning any and every photo of the war which they can lay their hands on. Is this why the media coverage is so sanitized that the public is immune to the real violence which is going on. Or does it really protect the families of the deceased from reliving their grief. The British MoD is reporting the death of an ISAF soldier in a small arms fire attack in the Marjah area, west of Lashkar Gah, Helmand province, Afghanistan on Monday, July 28th. Here's the ISAF statement. 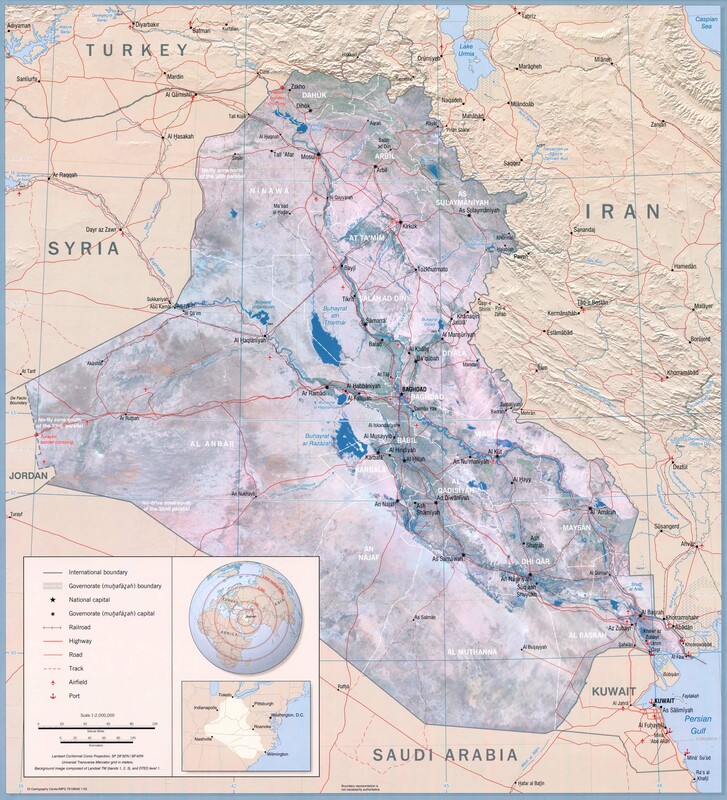 #1: U.S. and Iraqi forces fanned out in the volatile Diyala province Tuesday in a new operation aimed at clearing al-Qaeda in Iraq from safe havens in an area considered the last major insurgent belt around the capital. #2: A famer was killed when a bomb exploded in Abo Saida town northeast of Baquba city around 12:00 p.m.
#1: Turkish warplanes shelled suspected Kurdish Workers' Party (PKK) positions in northern Iraq near the border with Iran on Tuesday morning, according to the Iraq-based Patriotic Union of Kurdistan (PUK). 'Six Turkish warplanes shelled today (the) Gali Badran area in the Kandil mountains today at 11:15am (0815 GMT),' the PUK's media website quoted an anonymous source. 'The Turkish bombardment is still going on until this moment,' it added. #1: Policemen in Ninewa province killed a suicide bomber before ramming his explosive vehicle into his targeted police checkpoint west of Mosul city on Tuesday, a security source said. #1: U.S.-led coalition troops killed several militants during a raid in central Afghanistan. "Coalition forces responded with small-arms fire and air strikes, killing the militants and damaging a building," the statement said, without giving a specific death toll. #2: Separately, a suspected bomb maker and four other people died in an accidental explosion inside a house in the eastern Kunar province, said provincial deputy police chief Abdul Sabit Allayar. #3: Afghan soldiers backed by international air support killed and wounded more than 10 insurgents when the militants engaged them with rocket propelled grenades and heavy machine gun fire on Monday in the southern province of Kandahar, the Defense Ministry said in a statement on Tuesday. #4: Afghan soldiers killed and wounded five insurgents during clashes in Marja district in the southern province of Helmand on Monday, the Defense Ministry said in a statement on Tuesday. #5: A roadside bomb killed two Afghan soldiers near Lashkar Gah, the provincial capital of Helmand, the Defense Ministry said on Tuesday. #6: Suspected Islamic militants abducted 30 police and paramilitary troops in northwestern Pakistan on Tuesday. Security was deteriorating in the Swat Valley despite a peace deal reached in May between the provincial government and pro-Taliban militants. Insurgents overpowered the security forces who were manning a security post in Swat's Deolai area, police official Ismail Khan said. #8: In other unrest in the Swat Valley, security forces traded gunfire Tuesday with militants after a military convoy came under attack, Ismail Khan said. There was no report of casualties. #9: At least two civilians were killed and five others were injured as a mortar shell hit a house during exchange of fire between local Taliban and security forces in Pakistan's northwest on Tuesday, according to local media reports. #10: A Polish patrol came under mortar fire in Afghanistan on Monday, informs the Ministry of Defence.The ministry said that the Polish troops were shot at by Afghan insurgents and the soldiers opened fire and killed and wounded probably over a dozen. The spokesman for the Polish Military Contingent in Afghanistan says that the attack started around 4.30 pm, local time, in the vicinity of Shawal, eastern Afghanistan. "Mortar, machine guns and armour-piercing grenade launchers were used against the Polish troops, in the wake of which the Patria Armoured Modular Vehicle was damaged," said Major Jacek Poplawski. Help was called far and the fighting started. According to unverified information, over a dozen Taliban or their allies were killed. #1: Three blasts in Baghdad killed at least 25 Shia Muslim pilgrims heading for the city's Kadhimiya shrine. The attacks, which wounded about 52 people, were carried out by women suicide bombers, police said. All the explosions were close to Baghdad's Karrada district in central Baghdad, an area many pilgrims would pass through on their way to the shrine. It was unclear if the victims were pilgrims. The violence began in Baghdad, when a roadside bomb and three suicide attackers exploded in quick succession among crowds of Shiite pilgrims, killing at least 28 people and wounding 92, police and hospital officials said. #1: Another three men and a woman were killed in a roadside bombing near Baquba, north of Baghdad, police said. #1: A Sahwa (Awakening) tribal fighter was killed on Monday when unidentified gunmen attacked a checkpoint in the area of al-Latifiya, northern Babel, a security source said. #1: The body of a handcuffed woman with a gunshot wound to the chest was pulled from the Euphrates river near Mussayab, 60 km (40 miles) south of Baghdad, police said. #1: At least 22 people were killed in a suicide bombing on Monday during a protest rally in the northern Iraqi city of Kirkuk and in gunfire in the panic that followed, officials said. A suicide bomber detonated his explosives belt in a group of people in downtown Kirkuk who were protesting against a provincial election law, prompting guards to fire to disperse a surging crowd, officials told AFP. "The victims were people who ran away after the explosion, and guards opened fire, shooting into the air," said Najat Hassam, a senior member of the Kurdistan Democratic Party (KDP). "More people then responded to the gunfire with more shooting. The result of all this was 22 people killed and 120 injured." Sharzad Hamed Aziz, a doctor at Azady hospital, said his facility had received received 22 bodies and 120 wounded people. #2: Police also found a car bomb nearby and destroyed it without causing casualties after evacuating the area, Tahir said. #1: Unknown gunmen on Monday killed the board's chairman of the Cooperation Union in eastern Mosul city, a local police source said. "Today, unknown gunmen driving a modern vehicle opened fire on Taghreed Ahmed al-Maadidi in al-Qadissiya al-Thaniya area, eastern Mosul, while she was leaving her house for work, killing her on the spot," the source, who preferred to remain unnamed, told Aswat al-Iraq - Voices of Iraq. #2: Four insurgents were killed and 58 suspected al Qaeda members were detained on Sunday during operations in northern Iraq, the U.S. military said. Four Iraqi soldiers were killed by small arms fire in the operations, it added. 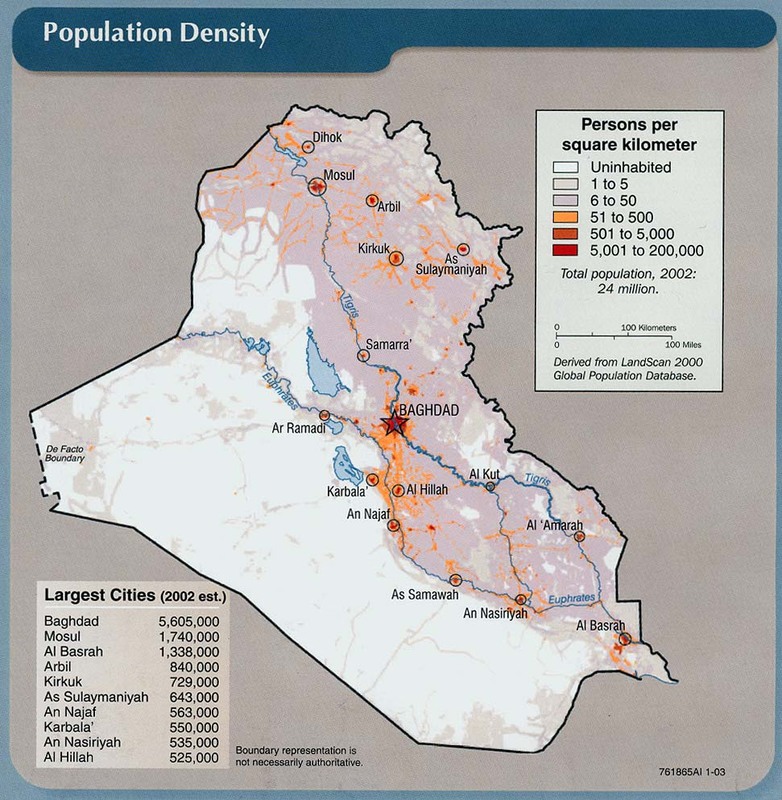 #3: Gunmen shot a woman dead in eastern Mosul, 390 km (240 miles) north of Baghdad, police said. #4: Gunmen killed a civilian when they opened fire in centre Mosul, police said. #5: The body of a woman bearing gunshot wounds was found in western Mosul, police said. #1: NATO-led soldiers in a convoy opened fire on a vehicle approaching them in a "threatening manner", killing two children and wounding a man in southern Kandahar on Sunday, the alliance said on Monday. Canadian troops in Afghanistan opened fire on a civilian vehicle Monday, killing two children and injuring an adult, NATO said. #2: Three civilians were killed when a rocket fired from an unknown location hit a residential area on Monday in eastern Nuristan, the provincial governor said. #3: Missiles hit a religious school Monday in a village just inside Pakistan's border with Afghanistan, killing six people, officials and state media said. There was no immediate claim of responsibility, but the incident follows a series of strikes apparently by U.S. aircraft in recent months against militant leaders holed up in Pakistan's tribal belt. According to state-run Pakistan Television, the missiles came down in Azam Warsak, a village in the South Waziristan region. It said six people were killed and several others injured. Iraqi security officers examine a car damaged by a roadside bomb in Basra, 550 kilometers (340 miles) southeast of Baghdad, Iraq, Sunday, July 27, 2008. There were no immediate reports on possible casualties. Update: Madain: Gunmen kill 7 Shiite pilgrims on their way from Suwayrah to a shrine in the Baghdad neighborhood of Kazimiyah. Thousands of pilgrims are expected to converge on the shrine in coming days for a commemoration. Sheikh Saleh Abdelaziz Saleh, Imam of the Sheikh Khalid Mosque, is assassinated by gunmen. He was also an employee of the Sunni Endowment, which maintains mosques. Two Iraqi soldiers killed by IED. VoI locates this incident on the road to Sulaiman Pek; Reuters places it in the town of Sulaiman Pek, but I assume they are referring to the same incident. A bomb injures Zeki al-Mohammedi, a member of the Anbar Provincial Council and local head of the Iraqi Islamic Party, injures his son, and kills two of his bodyguards. According to the AP, the bomb was attached to his car and exploded when the driver started the engine. Gunmen opened fire on the house following the explosion. Roadside bomb attack on a Sahwa patrol injures one. Two guards from the Oil Facilities Protection (OFP) force killed by IED. Civilian wounded in IED attack. No further details at this time. Turkish military says its air force bombed 12 PKK targets over night. Kurdish sources confirm that attacks took place, but say there were no civilian casualties, but do no provide any information on possible PKK casualties. Meanwhile, a roadside bomb attack in Turkey, near the border with Kurdistan, killed three people. Iran is a friendly country but we want to make friendships with all and not to be part of any axis," said al-Hakim, who is on a five-day visit to Cairo to try to persuade Egyptian officials to restore full diplomatic relations with Baghdad. "We want to have political, economic, cultural and even security cooperation with Egypt. We want Egypt to be our window to the whole Arab world," said al-Hakim. The United States has struggled to rally its Arab allies behind Iraq's Shiite-led government. 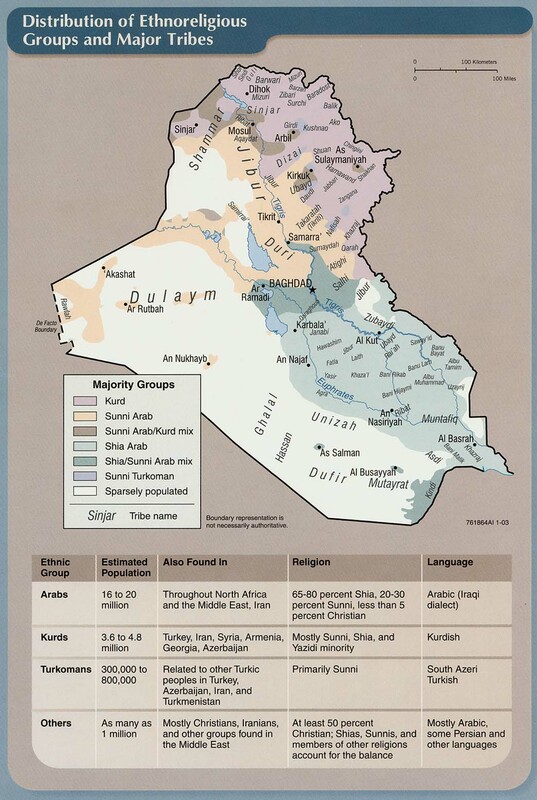 It hopes that normal relations between Iraq and its Sunni Arab neighbors will help reduce Iran's influence there. Cairo has been reluctant to upgrade its diplomatic relations with Baghdad although several Gulf Arab nations decided in recent weeks to send ambassadors to Iraq. Egypt's top diplomat in Baghdad was killed in 2005. It says full diplomatic relations with Baghdad could only be restored when security is established in the violence stricken nation. Also, Egypt and Saudi Arabia — two Arab powerhouses that opposed the U.S.-led invasion of Iraq — have remained deeply suspicious of Iraq's Shiites, accusing them of sidelining Iraq's once-dominant Sunni Arab minority and helping Iran extend its influence in the Middle East. U.S. Major General Mark Hertling says two military operations will commence in early August in Diyala Province, and in unspecified "remote areas" of the north. Interesting that U.S. generals are still announcing military operations in sovereign Iraq. Mashkour al-Mousawi, director of the Ministry of Displacement and Migration’s Najaf province branch, added that the committee will expel from the camp those families claiming to be displaced and will encourage the return of some genuine internally displaced persons (IDPs) to areas now deemed safer for them to return to. "We have reports that there are some families from remote areas pretending to be displaced who have joined other displaced families in al-Manathira camp to benefit from financial, food and non-food assistance," said al-Mousawi. Once news of the governmental committee reached the desert camp, displaced families began a protest on 25 July, fearing that local authorities would close the camp. "We can't go back to our areas even if they have become relatively safer because gunmen are still roaming there and are only waiting for the appropriate moment to attack again," said Mahdi al-Aridhi, a 32-year-old father of four. Al-Aridhi fled his home in the once restive al-Habbaniyah area of Anbar Province in the middle of 2006 after his three brothers were killed by gunmen believed to be al-Qaida in Iraq fighters. He ended up in al-Manathira camp with his 16-member family, including his parents, his brothers' widows, their children and his sisters. 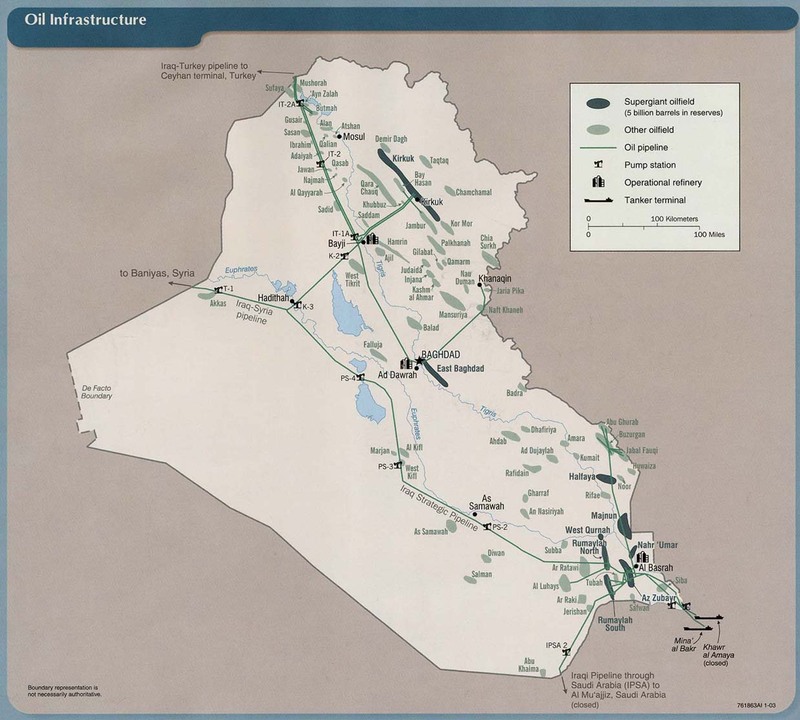 n interviews, 17 Iraqis, including municipal officials, gas station workers and residents, described a pattern in which militia control over the local economy and public services had ebbed. Merchants say they no longer have to pay protection money to militiamen. In some cases, employees with allegiances to the militia have been fired or transferred. In a further sign of weakness, Shiite tribes in several neighborhoods are asking for compensation from militia members' families for past wrongs. The changes are not irreversible. The security gains are in the hands of unseasoned Iraqi soldiers at checkpoints spread throughout Baghdad's neighborhoods. And local government officials have not fully taken hold of service distribution networks yet, risking a window for the militias to return. The militia's roots are still in the ground, Abu Amjad said, and "given any chance, they will grow again." In the attempt to reach an accord with al-Maliki, the president made news by negotiating a "general time horizon" for withdrawing troops — but he hasn't been willing to take the agreement to Congress and deal with Democrats in order to create a sound constitutional foundation for an enduring and bipartisan policy. Once the deal is signed by both parties, it's quite possible that the president will proclaim that this memo is special and can serve as a legal basis for all our activities in Iraq. If he does, he will be acting unconstitutionally. No precedents support the presidential creation of legally binding commitments on the use of force without congressional consent. Resorting to the use of a memo also undermines democracy in Iraq, the very democracy we went to war to create. Just as it allows Bush to avoid Congress, it allows al-Maliki to make an end run around his own parliament, which, according to the Iraqi Constitution, must approve formal international agreements; al-Maliki is widely expected to sign the memo unilaterally. #1: A roadside bomb targeted an Iraqi army patrol in Ghazaliyah, western Baghdad at 3 p.m. Friday injuring two soldiers. #2: A roadside bomb detonated in the afternoon inside a popular market in the Karrada district of central Baghdad, wounding six people, including three security members, the source told Xinhua on condition of anonymity. Around 2 pm a roadside bomb targeted civilians in Kamb Sara in Adhamiyah neighborhood (north Baghdad). Six people were injured (including 1 policeman and two Sahwa members). #3: Another roadside bomb went off before midday near an Iraqi army patrol in Baghdad's northern neighborhood of Sleikh, wounding two soldiers and a civilian along with damaging one of the patrol's vehicles, the source said. #4: A third explosion occurred in the day near some dustmen in the al-Jihad neighborhood in southwestern Baghdad, injuring two of them and caused damages to a nearby vehicle, the source added. #5: Around 3 p.m. gunmen attacked and injured awakening council official in Daowdi neighborhood, west Baghdad. #6: Around 4 p.m. a roadside bomb targeted awakening council member, a U.S. backed militia, in Sleikh neighborhood, injuring two militia members. #7: Police found one dead body throughout Baghdad in Baladiyat neighborhood. #1: On Friday night a gunman with silencer opened fire on an American patrol in downtown Kirkuk. A 14 year-old kid was killed in that incident . #2: In the morning gunmen opened fire on a combined patrol from Iraqi security forces and Americans. One Iraqi policeman was killed and another was injured. #1: A policeman was killed by gunmen fire in clashes in the western part of Mosul city on Saturday, a police source in Ninewa province said. #1: British soldiers in Afghanistan today killed four civilians and injured three more after opening fire on a vehicle that failed to stop at a checkpoint, Nato officials and reports said. The incident happened near a UK military base in the south of the country from where an army dog handler set out before being killed in an ambush two days ago. #2: Afghan police killed a Taliban commander on Friday after he attacked a police checkpoint with a group of insurgents in the northeastern province of Takhar, the Interior Ministry said on Saturday. Mulla Osman was the commander of anti-government operations in the country's northeast, it said. #3: Afghan soldiers killed five insurgents and detained nine more in the western province of Farah during an operation that started on Thursday, the Interior Ministry said on Saturday. A.J. DiBuono, 22, a Marine, was on patrol Sunday in a Humvee when the vehicle was hit by a rocket-propelled grenade and small weapons fire in Afghaniatan, his mother, Nicci McClearn, said Friday. DiBuono was hit by shraphnel is his neck, shoulder, hands, calf and feet. The injuries to his hands are described as severe, she said, and he's already had surgery to remove part of his left thumb. The British MoD is reporting the death of a British ISAF soldier from small arms fire in the Sangin area of Helmand Province, Afghanistan on Thursday, July 24th. Six other soldiers were wounded in the attack. Here's the NATO statement. The Danish military is reporting the death of a Danish ISAF soldier in a mine or IED attack north of FOB Attal in Helmand province, Afghanistan on Friday, July 25th. Three other soldiers were wounded in the attack. CNN is reporting the death of a U.S.-led coalition CJTF - 101 soldier from non-combat related causes in Afghanistan on Friday, July 25th. No other details were released. Here's CJTF - 101 statement. A roadside bomb wounds 17 soldiers in Afghanistan earlier this week. #1: Iraqi police found the body of a civilian in Baghdad, police said. #1: Unidentified gunmen killed a woman inside her home in eastern Mosul city on Friday, a security source in the province of Ninewa said. "Unknown gunmen stormed a house in al-Karama neighborhood, eastern Mosul, and opened fire at a woman, killing her instantly," the source, who did not want to be named, told Aswat al-Iraq – Voices of Iraq. #2: A roadside bomb struck an Iraqi police patrol, wounding three policemen in western Mosul, 390 km (240 miles) north of Baghdad, police said. #3: A sniper killed an Iraqi soldier in western Mosul, police said. #1: Afghan officials say three Taliban militants have been killed in clashes with police in southern Afghanistan. The Interior Ministry says the insurgents were killed in a clash today in the Gereshk district of Helmand province. There were no police casualties. #2: Dozens of Taliban fighters were killed in a US airstrike in east-central Afghanistan officials said Friday. As many as 40 Taliban fighters were killed in the airstrike in Ghazni province, about 130 kilometres west of Kabul, local officials said. US planes bombed a group of Taliban who were meeting at a Taliban gathering place near the district centre of Ajristan late Thursday, a spokesman for Ghazni Governor Ismail Jahangir said. The Ajristan district was captured by the Taliban earlier this week. The militants were forced out of the district, leaving more than a dozen fatalities behind, as hundreds of Afghan troops moved in Wednesday. Lance Bombardier Paul Gray, 25, who has been battling against the Taliban in Afghanistan has suffered horrific injuries after his vehicle struck a roadside bomb. he was thrown to the ground when his vehicle, which was travelling with a convoy of five vehicles, hit an anti-tank mine on Saturday, July 12. He was left with a fractured skull, spine and ribs following the blast which happened during a routine patrol in the Helmand Province. #1: A member of a U.S.-allied Sunni group in Iraq says three of its guards have been killed and another wounded in drive-by shootings in northern Baghdad. The official says gunmen in a speeding car opened fire on two different awakening council checkpoints in the Azamiyah neighborhood on Thursday. The official spoke on condition of anonymity because of security concerns. Gunmen attacked a checkpoint manned by Awakening Council, a U. S backed militia, in Adhamiyah at 9 a.m. killing two members. The gunmen used silencers on their weapons, said Iraqi Police. 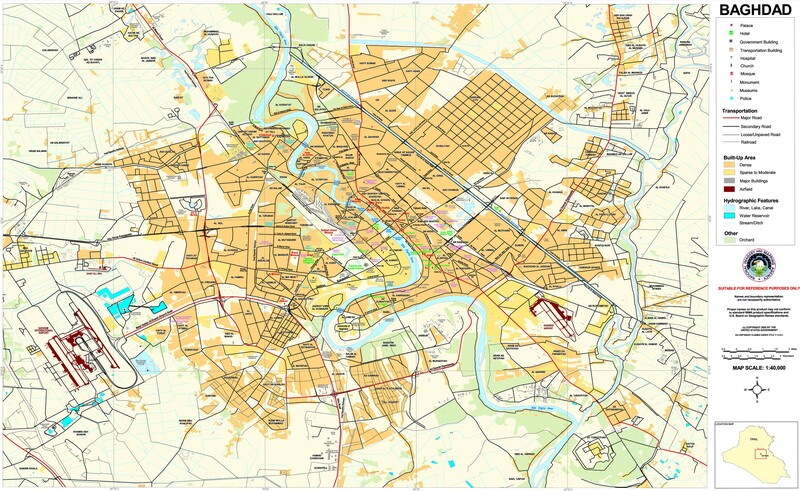 #2: Wednesday Police found two unidentified bodies in Baghdad. The first body was found in Zafaraniyah district while the second body was found in Ur neighborhood. #3: A bomb wounded a senior leader of the Shi'ite Dawa party at his house in Zaafaraniya district, southeastern Baghdad, police said. Three body guards were also wounded. #4: One unidentified body was found by Iraqi Police, Thursday. It was found in Nidhal Street, central Baghdad. #1: A female suicide bomber wearing an explosive belt targeted an Awakening Council Commander in Baquba, Naeem al-Dulaimi at 3 p.m. Thursday. The explosion, which took place in a car dealership while Dulaimi was checking a car killed him, his two security guards and four civilians, injuring at least twenty four others including women and children. #1: Iraqi police found the bodies of a civilian and a policeman in Yusufiya, 20 km (12 miles) south of Baghdad, police said. #1: "The British base at the Basra International Airport came under Katyusha rockets attack late Wednesday without causing casualties," Captain Chris Ford told Aswat al-Iraq - Voices of Iraq. #2: The Multi-National forces in southern Iraq said on Thursday that their warplanes shelled a site of Katyusha rockets launchers directed against their base at the Basra International Airport. "The British jets shelled the place where the rockets were launched near the airport in al-Meaadan region in northern Basra," he added. #1: The son of journalist at a popular weekly newspaper in northern Iraq was shot dead by US troops when his car appeared to veer wildly, police said on Thursday. American soldiers shot dead Arkan Ali al-Nuaimi, 19, on Wednesday evening as he approached a checkpoint in his car in the oil city of Kirkuk, a police official told AFP. He said the son of Ali Taha al-Nuaimi, editor of the US financed "The Voice of the Villages," was raked with American bullets when he lost control of his vehicle. #2: The U.S. military killed a teenager sitting in a car in central Kirkuk, 250 km (155 miles) north of Baghdad, Iraqi police said. The U.S. military said their convoy came under armed attack from a sedan and their soldiers returned fire, killing a passenger. One U.S. soldier was wounded during the attack, the U.S. military said. #1: Iraqi police found the bodies of two civilians and a policeman in Mosul, 390 km (240 miles), north of Baghdad, police said. The bodies bore gunshot wounds. #2: A suicide car bomber targeted a checkpoint manned by Iraqi Army in al-Intisar neighbourhood, eastern Mosul killing two soldiers, injuring two others. #1: Turkish warplanes bombed Kurdish rebel hideouts in northern Iraq overnight in the latest air raid in the region since mid-December, the military said Thursday. The "intensive" strike targeted Kurdistan Workers' Party (PKK) hideouts in the Zap area along the Turkish frontier, which is known as a major rebel stronghold, it said in a statement posted on its website. The statement said: "All 13 targets were successfully hit," adding that work was under way to determine how many PKK militants were killed. #1: Three police officers were killed and four others injured Thursday in a roadside bomb blast in the eastern province of Paktia, officials said. A remote-controlled bomb exploded and destroyed the their pick-up truck while the police were on patrol in Syed Karam district, Agha Gul Ahmadzai, the district's chief, said. The wounded, two of them in critical condition, were evacuated to the civil hospital in the provincial capital Gardez city, he added. A remote-controlled bomb destroyed a police vehicle in the eastern province of Paktia early Thursday, killing four policemen and wounding two others, said deputy provincial police chief Ghulam Dastageer Azad. #2: Taliban fighters also ambushed a police vehicle on patrol in the southwestern province of Farah overnight, another police official said. "Three police were killed and another three were wounded," said Abdul Raof Ahmadi, police spokesman for western Afghanistan. #3: An operation was meanwhile under way in the central province of Ghazni to take back a district that Taliban rebels captured three days ago, authorities said. Afghan troops backed by NATO ground and air support launched the offensive on Wednesday in the remote Ajristan district, the alliance and an Afghan official said. "At least 15 Taliban have been killed and several others are wounded since yesterday (Wednesday)," provincial government spokesman Ismail Jahangir said. "Joint operations began -- with a coordinated air strike on insurgents -- inside the village of Ajristan. Several insurgents have been killed and wounded," NATO's International Security Assistance Force (ISAF) said. Troops had been able to recapture the district headquarters compound but were still fighting for wider control, Jahangir said. #4: The Danish army says two soldiers were injured, one of them seriously, when a rocket hit their armored vehicle in a battle with Taliban fighters in Afghanistan. The army says the Danish unit came under attack Wednesday in the southern district of Gereshk. Cindy Robison, 40, speaks slowly and wears hearing aids in both ears. She said she uses a cane because she has trouble with balance and experiences headaches that can sideline her for days. It's all the result of a brain injury she received when her convoy hit a roadside bomb in Iraq in 2004. "I was around a lot of blasts, and I also had a bad fall out of a vehicle that injured my head and neck," she said. "I'm kind of a magnet, I think." Royal Irish Ranger Martin Delaney, of Lusk, Co Dublin, was travelling in a British army Land Rover that struck a roadside explosive planted by Taliban insurgents. The 23-year-old suffered shrapnel wounds to his face and legs. "It was mostly fragments of the bomb he was hit with, mostly in the leg,’’ said Mr Delaney. David Pepper (22) suffered a shrapnel wound to his left arm and an injury to his back, while a third Royal Irish soldier caught up in the blast had to be flown back to a UK military base for treatment. retired Army Specialist Sergio Trejo was a trained sniper serving in Iraq when a roadside bomb exploded near him during his second tour of duty. The explosion left the soldier with a broken back and a brain injury. NATO is reporting the death of an ISAF soldier during an insurgent attack in Kajaki, Helmand Province, Afghanistan on Tuesday, July 22nd. The British MoD is reporting that the dead soldier is British and describes the attack as a complex attack using small arms fire and IED's. Two other soldiers were wounded in the attack. Iraqi insurgents have nearly ceased their once-constant attacks on convoys delivering U.S. supplies for reconstruction projects and equipment for Iraq's security forces, and shipments are at their highest levels since the start of the war. Through June 2008, there were only 93 attacks on about 6,100 logistics convoys carrying supplies ranging from building materials for schools, hospitals and public utilities to weapons for local police, Pentagon data obtained by USA TODAY show. That's a convoy-attack rate of about 1.5%. During some months in late 2006 and early 2007, attack rates were up to 20%. Blacks make up about 17 percent of the total force, yet just 9 percent of all officers. That fraction falls to less than 6 percent for general officers with one to four stars, according to data obtained and analyzed by The Associated Press. #1: Police found 3 dead bodies in Baghdad today: 2 were found in Risafa bank(east Baghdad); 1 in Shaab and 1 in Habibiya. While 1 was found in Amil in Karkh bank. #1: A bomb attached to a tractor killed five people at a checkpoint manned by a neighbourhood patrol group on Monday in Diyala province, northeast of Baghdad, the U.S. military said. #1: A woman was killed on Wednesday by roadside bomb blast in northeast of Baaquba, a security source said. “An explosive device went off in al-Wgiehiya region in Muqdadiya district, northeast of Baaquba, killing a woman,” the source told Aswat al-Iraq – Voices of Iraq (VOI) on condition of anonymity. #1: A roadside bomb wounded 11 people on Tuesday in Mosul, 390 km (240 miles) north of Baghdad, the U.S. military said. #2: Two Iraqi soldiers were killed on Wednesday in an attack launched by unknown gunmen on an Iraqi army checkpoint in eastern Mosul, an army source said. “Unidentified gunmen attacked an Iraqi army checkpoint in al-Tahrir neighborhood in eastern Mosul, killing two soldiers instantly,” the source, who requested for anonymity, told Aswat al-Iraq – Voices of Iraq. #3: A roadside bomb wounded three policemen when it exploded near their patrol in southeastern Mosul, 390 km (240 miles), north of Baghdad, police said. #4: Gunmen shot dead a civilian in front of his house in central Mosul, police said. #5: Mortar shells wounded two civilians when they landed on a police station in southeastern Mosul, police said. #1: Mohammad Hussein Andiwal, the police chief of Helmand province, told Xinhua that police on Tuesday evening killed the Taliban militants' ambush on several checkpoints in Lashkar Gha district, the provincial capital, killing five militants. "The fighting last for two hours," Andiwal said, adding "one Afghan soldier and the other police were injured in the clash." #2: In the other incident, police on Tuesday night engaged and eliminated three Taliban insurgents while on patrol in Khas Uruzgan district of Uruzgan province, the provincial police chief Juma Gul Humat said. "No police were killed or injured," he added. #3: U.S.-led coalition troops killed "several" Taliban insurgents during a search in the Sayed Abad district of Maidan Wardak province, southwest of Kabul on Tuesday, a U.S. military statement said. Afghan intelligence sources said five Taliban insurgents, including two commanders, were killed in the raid. #4: A remote-controlled roadside bomb killed a district police chief on Wednesday in the eastern province of Nangarhar, a provincial official said. #5: Separately, a civilian vehicle struck a mine in Khost province in Afghanistan's east Tuesday, killing four people and wounding three, provincial police official Yaqub Khan said. The dead included a 2-year-old and a woman. An Air Force MQ-1 Predator crashed in southern Afghanistan July 21. The aircraft is a medium-altitude, long-endurance, remotely piloted aircraft. The MQ-1's primary mission is conducting armed reconnaissance. There is an unconfirmed report in the Quqnoos reporting the deaths of four U.S. soldiers in a mine explosion in the Bakwa District of Farah Province. We will not include these in our count until there's official confirmation of the incident. #1: Monday Police found one unidentified body in Nahdha neighborhood in east Baghdad. 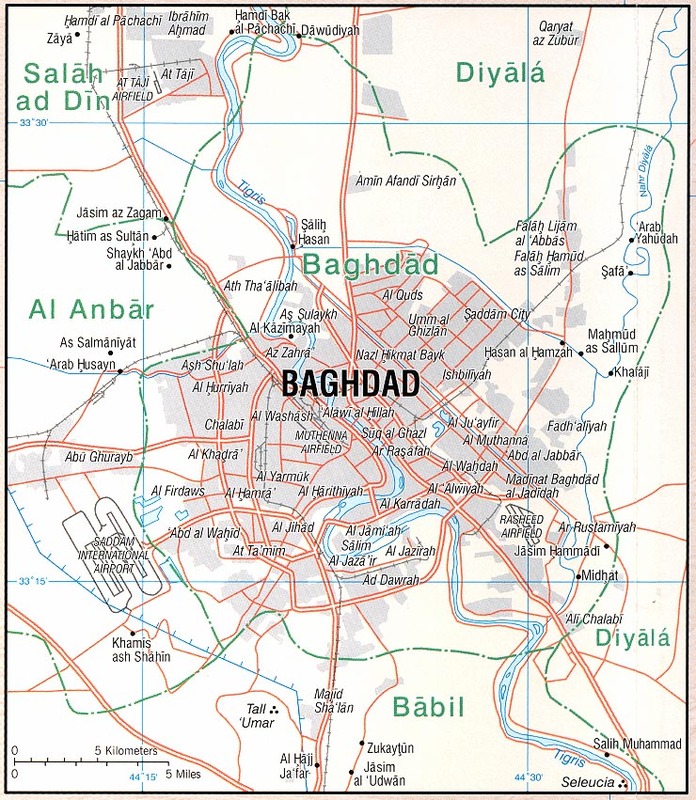 #2: Around 7:30 am a roadside bomb targeted an American patrol in Illam neighborhood( west Baghdad). No casualties reported. #1: Iraqi police say gunmen have killed a Kurdish journalist near the northern city of Kirkuk. Soran Mama Hama, a 23-year-old reporter for the Kurdish-language magazine Leven, was shot late Monday. Police say the motive is unknown. #2: On Monday night, a roadside bomb targeted a police patrol in Kirkuk city. Two policemen were killed( including the deputy of Irouba police station Colonel Khabat Aziz) and 5 others were injured. #1: U.S.-led coalition and Afghan troops clashed with and called in airstrikes on Taliban militants in western Afghanistan, killing and wounding more than 25 insurgents, an Afghan official said Tuesday. The joint force has been battling militants in Bala Buluk district of Farah province since Monday afternoon, said regional police spokesman Rauf Ahmadi. Two police officers were wounded in the fighting, which also involved coalition airstrikes on the militants' positions, Ahmadi said. 1st Lt. Nathan Perry, a coalition spokesman, said that militants used two roadside bombs, small arms and rocket-propelled grenades to attack coalition patrols in Farah on Monday and Tuesday. No coalition troops were killed, but Perry would not say if any were wounded. A U.S.-led convoy was engaged with small arms fire and rocket-propelled grenades on Tuesday morning in Bala Boluk, a U.S. military spokesman said. Air strikes were called in but no munitions were dropped. The U.S. military could not confirm if there were any Taliban dead, the U.S. spokesman said. International forces do not usually give casualty figures for insurgents. #2: Separately, militants attacked an Afghan army outpost in the same region Tuesday and the clash there was continuing, Perry said. #3: In Kabul, meanwhile, a suicide bomber on foot detonated himself Tuesday next to the walls of the city's historic Babur Gardens, a popular public park, wounding three civilians, said police official Ali Shah Paktiawal. #4: Taliban guerrillas ambushed a convoy carrying supplies for a foreign security firm and killed four of its local guards on Monday in southern Zabul province, a provincial official said. #5: In neighbouring Ghazni, Taliban fighters stormed a police post and killed four officers late on Monday, an official said. #6: The spokesman for the governor of southeastern Paktika province was killed in his house by Taliban assailants late on Monday, an official from the area said. A Taliban spokesman confirmed the report. Matthew Richardson (22), from Barton-Upon-Humber, was serving in Helmand province when the Land Rover he was driving was struck by a landmine while he was out on patrol. Both of his feet were shattered by the blast. "He is extremely lucky to still be alive. I envisaged him to have lost his legs so I am so grateful." The Charleston Daily Mail is reporting the death of a U.S.-led coalition (CJTF - 101) soldier in a roadside bombing in Helmand province, Afghanistan on Sunday, July 20th. We assume this to be an American. CNN is reporting the death of an ISAF soldier while fighting in Khost province, Afghanistan on Sunday, July 20th. No details were released. We assume this also to be an American. Here's NATO statement. #1: Armed men blew up the house of Iraqi lawmaker Mithal al-Alusy in west Baghdad Monday, nearly four years after one of several assassination attempts on his life resulted in the death of his two sons. There were no fatalities in the explosion, since the house was empty at the time, but it was extensively damaged, security sources said. #2: Five civilians were injured in an explosion of a bomb that was attached to a private car in al Tobchi neighborhood in west Baghdad around 12:00 p.m.
#3: A parked car bomb killed one person and wounded four others on Sunday in Alawi district, central Baghdad, police said. #1: Gunmen kidnapped four brothers after raiding their house south of Baaquba city on Monday, an official security source in Diala said. "Al-Qaeda gunmen stormed a house in the village of al-Bawashi south of Buhrez district, (5 km) south of Baaquba, and kidnapped four brothers and led them an unknown place," the source, who declined to be named, told Aswat al-Iraq – Voices of Iraq. Gunmen attacked alBowashi village south of Baquba city targeting Sahwa councils members (awakening councils) killing one member of Sahwa and kidnapping four. #1: A civilian man was killed by unidentified gunmen near his house in western Kut city on Monday, a police source in the province of Wassit said. "Unidentified gunmen on a motorbike on Monday morning opened fire at a civilian man standing in front of his home in the area of al-Izza, western Kut, killing him instantl," the source, who declined to have his name mentioned, told Aswat al-Iraq – Voices of Iraq. #1: Gunmen killed two people when they opened fire on their vehicle in southeastern Mosul, 390 km (240 miles) north of Baghdad, police said. #2: Gunmen killed two brothers and their cousin in a drive-by shooting in northern Mosul on Sunday, police said. #3: One body was found with gunshot wounds to the head in western Mosul, police said. #1: Three policemen were killed and two others wounded on Monday when clashes erupted between two Turkmen clans in the district of Talafar, western Ninewa, an official source from the Iraqi army in the provinces said. "Clashes erupted today between the Turkmen clans of al-Gulagh and al-Bazi in Talafar district, (60 km) western Mosul. Policemen intervened to end the clashes but three of them were killed and two others wounded," Lt. Colonel Adel al-Birwari told Aswat al-Iraq – Voices of Iraq. #1: A bomb exploded inside the garden of the house of the father of Falluja police deputy chief Lieutenant Colonel Esa Sayer in al Shurta district in downtown Falluja city west of Baghdad around 6:00 a.m. Five people were injured including a 5 years kid who was seriously injured. #2: A bomb exploded inside the garden of the house of CPT Asif Ghazi, an officer in Falluja police. The explosion took place in al Mualimeen district in downtown Falluja around 6:00 a.m. the explosion caused damages to the house. No casualties reported. Two other bombs were found near the house and there were detonated under control. #1: Two Turkish engineers kidnapped in Afghanistan last week have been freed after their employers apparently paid a ransom, police said on Monday. #2: About 20 Taliban rebels were also killed overnight after international helicopters attacked them in the eastern province of Khost, local government spokesman Khaibar Pashtun told AFP. The choppers were called in after the rebels ambushed a police convoy, killing a policeman, Pashtun said. #3: Elsewhere in Khost an Afghan driver was killed after militants attacked a convoy supplying a foreign military base there, a police official said. #4: Dozens of Taliban militants meanwhile captured a remote district in central Ghazni province overnight, killing one policeman and injuring two others, a government spokesman said. Local security forces had fled the centre of Ajiristan district, about 200 kilometres southwest of Kabul, the interior ministry spokesman Zemarai Bashary said. "Security forces abandoned the district centre after Taliban attacked. They withdrew under lots of pressure," he said. "We're working on a plan to retake the district." #5: U.S.-led coalition air strike killed "several militants" in an open area in western Farah on Sunday, a U.S. military statement said. #6: Taliban attacked a police post in eastern Kunar and kidnapped three officers late Sunday, police said. Three Taliban were killed and nine others wounded in the clash with police who suffered no casualties, he added. #7: Taliban insurgents fired rockets on a fuel truck killing six civilians including two truck drivers on Sunday in Laghman province, which also lies in the east, a senior police official said. #8: A missile strike by the insurgents wounded nine civilians in southeastern Paktika province on Sunday, the defence ministry said. #9: An Afghan soldier was killed in an attack by the militants in Wardak province which lies on a vital highway, linking Kabul with southern and western regions, it added. #10: Six Royal Irish Regiment soldiers have been injured in an attack by the Taleban in Afghanistan. An Army spokesperson said the soldiers were in Helmand province at the time of the incident. The extent of their injuries is not known. The news comes after it was revealed another member of the regiment lost a leg during an attack in the same area earlier this month. US Army Staff Sgt. Nathan Reedlost most of his right leg and suffered other injuries after a car bomb blast in Iraq on May 29, 2006. The explosion also caused shrapnel wounds to his right arm and left leg. Ranger Andy Allen, 19, lost his leg after an explosion in Afghanistan when he was on foot patrol north of the town of Musa Qal'eh in Helmand province last week. Ranger Allen was in an area close to the so-called Green Zone, beside the Helmand River, when the improvised explosive device (IED) was detonated by Taliban insurgents last Monday. Roadside bomb attack in al-Waziriya district injures 3 police officers and one civilian. One civilian killed, 3 injured in bomb explosion in Karada, central Baghdad. IED explosion in Adhamiya kills 1 civilian and injures 2 on Saturday night. Bomb attached to a car kills the driver. The wording is ambiguous but this seems to refer to an assassination rather than a failed suicide bombing. The victim is not identified. Police officer wounded by IED attack. U.S. forces kill the son and nephew of the governor of Salah ad-Din province, Hamad Hammoud, apparently while raiding a house in search of a wanted man. According to one source, an al-Qaeda operative was killed in the same raid, but another source seems to suggest that the raid was conducted in error. U.S. military claims the men were armed and showing "hostile intent." Either way, this is a strange tale. We'll see if we eventually get clarification. Body of a young woman found with four gunshot wounds. Not clear whether this was a politically motivated incident. IED attack on police patrol injures 3 civilians. Gunmen kill 1 person in a drive-by shooting. Police thwart suicide attack on their patrol by shooting the bomber. Al-Maliki presides at the opening of a new airport in Najaf. The airport is expected to serve Shiite pilgrims, an important potential source of revenue for Iraq. In April, members of Tawafiq announced that they were working out a deal to return to Parliament. At the time, leaders said they were pleased that the government was addressing some of their concerns by passing an amnesty law that led to the release of Sunni prisoners and by leading operations against Shiite militias. Sunni leaders had also been pressing for a voice in security decisions and for the appointment of a Tawafiq member to head the powerful Planning Ministry. That ministry is led by Ali Baban, who left Tawafiq after the Sunni boycott began in order to keep his post. The struggle over the Planning Ministry remains unresolved, said Khalaf al-Iliyan, the leader of the National Dialogue Council, a party within Tawafiq. 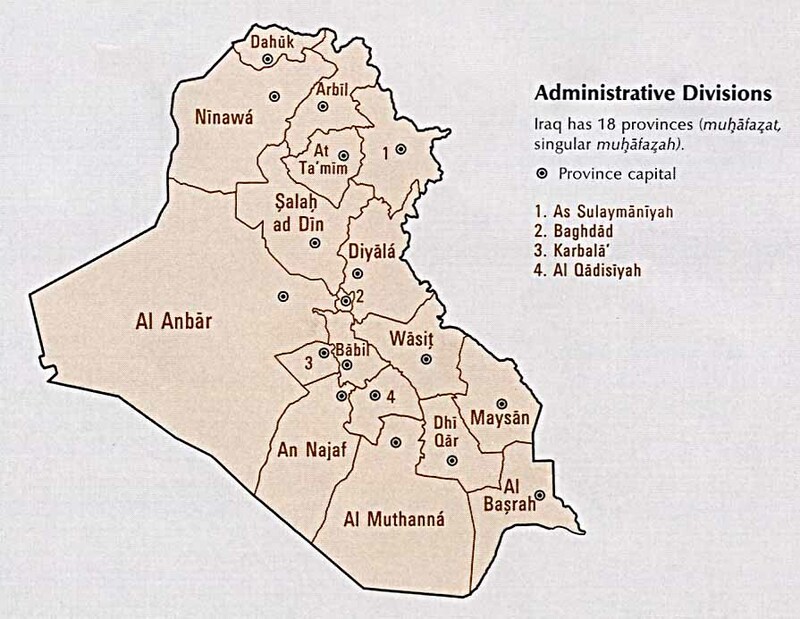 As for Tawafiq's demand for a greater say in security matters, Sami al-Askari, a member of the United Iraqi Alliance, said that Maliki considered their demands unconstitutional. "He assured them that the Iraqi Constitution treated this issue clearly," Askari said. "Security is overseen by the general commander of the security forces, and the prime minister is the general commander of the security forces." British PM Gordon Brown, in Jerusalem after departing Iraq, calls on Shiite kidnappers to release British hostages. This hostage situation has gone largely unreported but is now in the news following the kidnappers' release of a video claiming one of the hostages killed himself in May. There is anger inside our people. There is a volcano that wants to erupt. But we are obedient to Sayed Muqtada. Sadrist woman leader Nadhil al Sudani, describing how the anger of Sadr City residents at the Iraqi army is contained only by Muqtada al-Sadr's orders to refrain from violence. #1: Three civilians were killed or wounded when an improvised explosive device blew up in northern the Iraqi capital Baghdad, a police source said on Sunday. "Yesterday evening, a roadside improvised explosive device (IED) planted near Sheikh Jalal Mosque in Ragheba Khatoun area, Adhamiya neighborhood, detonated killing one civilian and injuring two others," the source, who requested anonymity. In a separate incident, another civilian was killed by a bomb planted in his car while traveling in the Adhamiya neighborhood in northern Baghdad, he said. #2: Four civilians were killed or wounded when an improvised explosive device (IED) detonated in downtown Baghdad, an Iraqi police source said on Sunday. "A roadside explosive charge went off at the entrance of Karada city, central Baghdad, killing a civilian and wounding three others," the source, who requested anonymity, told Aswat al-Iraq - Voices of Iraq. "A roadside bomb detonated in the morning near the al-Rahibat hospital in Baghdad central district of Karrada, killing a civilian and wounding three others," the source told Xinhua on condition of anonymity. One of the wounded is in a critical condition, and the blast also caused damages to several nearby buildings and shops, the source added. #3: Four persons, including three police personnel, were wounded in an explosive charge attack in northern Baghdad, the second blast to hit the Iraqi capital today, according to a police source. "A roadside improvised explosive device (IED) detonated in al-Waziriya area near al-Maghreb St. intersection in northern Baghdad while a police patrol was passing the location," the source, who requested anonymity, told Aswat al-Iraq - Voices of Iraq - (VOI). "The explosion wounded four persons, including two policemen and a colonel," the source noted. Also in northern Baghdad, another roadside bomb hit a police patrol in the Waziriyah neighborhood, wounding three civilians and two policemen, the source said. #4: Saturday Police found 1 dead body in the Muskar Al-Rashid neighborhood (east Baghdad). #5: Another roadside bomb went off near a passing U.S. patrol in the al-Qanat Street in eastern Baghdad, the source said. It was unclear whether the U.S. patrol sustained any casualty as the troops immediately cordoned off the area, preventing the Iraqi police from approaching the scene, he said. #6: A parked car bomb detonated in Damascus intersection, central Baghdad at 6 p.m. killing one civilian, injuring seven people including one policemen and one baby girl. #7: Three unidentified bodies were found in Baghdad today by Iraqi Police; one in Amil, one in Baladiyat and one in Hurriyah. #8: Gunmen threw a hand grenade at a car selling alcoholic beverages, parked on the Jadriyah Bridge at 9 p.m. injuring four civilians. #9: A roadside bomb exploded in al-Jaara in Madain, to the south east of Baghdad injuring three civilians including a little girl. #1: Three policemen were killed by a roadside bomb blast targeting their patrol in the volatile province of Diala. “An improvised explosive device(IED) went off in Bani Saad village of al-Muqdadiya town, 45 km north-east Baquba, killing three policemen”. A roadside bomb targeted a pick up truck in Wajihiyah district, 20 km to the east of Baquba at 6.45 p.m. killing two policemen in plain clothes. #1: A source from Wassit morgue on Sunday said they received two unidentified bodies discovered floating in the river. "Al-Zahraa hospital's morgue received two bodies of a civilian wearing Arab dress while the second was clad in a sport's uniform," a source from Wassit morgue, who requested anonymity. told Aswat al-Iraq - Voices of Iraq. The source noted, "police records indicated they were discovered floating on a river in Suweira." "The bodies were decomposing, handcuffed from behind, and bore gunshot signs in the head," the source added. #1: US troops killed Sunday the son and a nephew of the governor of the Salahaddin province in northern Iraq during a military operation, a local official said. A US force launched a search operation in a residential district in Bayji and killed the 17-year old son of Hamad Mahmoud, Salahadin's governor, and his nephew, the governor's deputy, Abdallah Jabara, told the Voices of Iraq VOI news agency. US troops contacted the local government and admitted its responsibility for the incident and said the two bodies were at a US base north of Tikrit, according to Jabara. #1: A policeman was wounded in an explosive charge attack that ripped through downtown Kirkuk city, a local security source said on Sunday. #2: Three civilians were wounded on Sunday in an explosive charge attack that targeted a police patrol vehicle in western Mosul, Iraqi authorities said. "An improvised explosive device (IED) detonated near an Iraqi police patrol in al-Zanjili area, western Mosil, wounding three civilians," a security source, who requested anonymity, told Aswat al-Iraq ­- Voices of Iraq. #1: Two people were killed when a suicide bomber detonated his explosive vehicle near a convoy of commercial vehicles on Sunday, a Ninewa police source said. "The bomber targeted a convoy of vehicles carrying construction materials, which were escorted by civilian vehicles for protection purposes. The blast left two men killed in the area of Karraj al-Shama, eastern Mosul," the source, who preferred not to be named, told Aswat al-Iraq – Voices of Iraq. #2: A policeman was killed by sniper’s fire shot against his patrol in al-Masaraf roundabout, north Mosul,” a Ninewa police source, who requested anonymity, told Aswat al-Iraq-Voices of Iraq. #3: Elsewhere in Mosul, the same source said “a civilian was killed by unknown gunmen in Eden district, east Mosul”.He noted “the gunmen broke into the victim’s house and shot him dead”. #4: Gunmen in a speeding car open fire upon a group of civilians in al-Hadbaa neighbourhood, Mosul city at 6 p.m. killing three. #1: Iraqi police forces killed a suicide bomber before he could detonate his explosive belt near a police patrol in Anbar province, the Ministry of Interior said on Sunday. "Anbar police forces have managed to remove the explosive belt and no casualties were reported," according to a ministerial statement received by Aswat al-Iraq - Voices of Iraq. #1: A misunderstanding between local police and coalition forces led to an airstrike in southwestern Afghanistan Sunday that left nine police officers dead, a defense ministry official said. The nine officers were mistaken for Taliban militants by coalition forces, said Gen. Mohammad Zahir Azimi. The aerial attack took place in the Anar Derah district in Farah province. It was conducted by U.S. soldiers and troops from the Afghan army, Azimi said. He did not have any further information about the attack. #2: NATO said Sunday that its forces accidentally killed at least four civilians in eastern Afghanistan. In a statement, NATO's International Security Assistance Force said it was investigating whether three other civilians also were killed Saturday night in the Barmal district of Paktika province when its troops fired two mortar rounds that landed nearly a half mile short of their target. #3: Separately, a mine exploded under a civilian vehicle in Gereshk district of the southern Helmand province on Sunday, killing three children and wounding four other people, said provincial police chief Mohammad Hussein Andiwal. #4: On Saturday, militants attacked a police checkpoint in the same district but in the ensuing gunfight three Taliban fighters were killed, Andiwal said. No police were injured in that clash, he said. #5: Meanwhile, the Ministry of Defense said Afghan soldiers battled insurgents in southern Zabul province, killing nine militants and wounding seven on Saturday. Cpl. Matthew Sondermann, 23, suffered multiple fractures to his leg and forearm, lacerations to his face and eye and third-degree burns on his leg when an IED detonated beneath the Humvee he was operating on June 14. a member of the 1st Battalion, 6th Marine Regiment out of Camp LeJeune, N.C., is being treated at the Brooke Army Medical Center in Fort Sam Houston, Texas.